As the month of November rolled around, we started seeing it everywhere: Gratitude challenges! Taking time to do positive acts of kindness towards others for the next 30 days or 21 days, or consciously reflecting on what we have or are to be grateful for. With Thanksgiving now less than two weeks away, many of us are already celebrating this lovely holiday early with “Friends-giving’s” or early Thanksgiving gatherings. It feels wonderful to take time to express to others and ourselves what we are thankful for, but research shows us this task is so valuable we should be practicing it year-round! Go Through the Motions. If you go through grateful motions, the emotion of gratitude should be triggered. Grateful motions include smiling, saying thank you, and writing letters of gratitude. Watch your Language. Grateful people have a particular linguistic style that uses the language of gifts, givers, blessings, blessed, fortune, fortunate, and abundance. In gratitude, you should not focus on how inherently good you are, but rather on the inherently good things that others have done on your behalf. Get technical. Of course, there’s an app for that! If you browse the app store on your smart phone, there are numerous options for Gratitude including a great app called “365 Gratitude Journal”. This little gem will send push notifications and reminders to your phone to practice the act throughout your day and help you log all things to be grateful for. 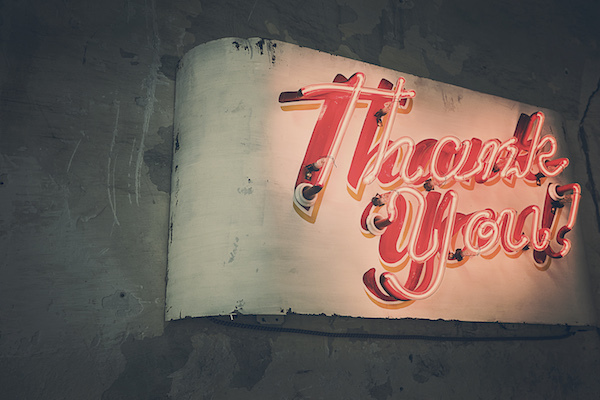 Incorporating gratitude into your daily life can be much easier than you think. So challenge yourself this month and see if you can keep it going until next Thanksgiving. What do you have to lose?